Over the past year, we’ve hired a number of talented people for squads and teams across the business – software engineering, sales, marketing and finance to name just a few. We pulled them away from the action for a few minutes to find out what they love most about being a part of the Movio Crew. 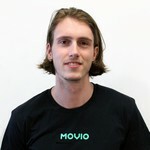 Why is the Movio Crew so great to be a part of? The culture here is one of high technical expertise, while also very friendly and collaborative — everyone is constantly looking to improve themselves and be the best they can be at what they do. This is a rare thing to find amongst such a good group of friends. I love what I get to do at Movio. Researching upcoming films and working with studios and agencies to create engaging campaigns about the movies I want to see in theaters, and getting to share these campaigns with moviegoers just like me. It’s a hardworking team, and everyone is very welcoming and willing to help. 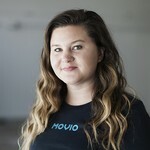 The Movio Crew is passionate about this industry and this company. I’m happy I found a team with the same work ethic and values that I have. How is your relationship with your manager? My manager at Movio is one of the best I’ve ever worked with. He is helpful, understanding and trusts my work and abilities. It’s awesome to be part of global projects which could impact every individual movie lover – including myself. Movio is a place where I am exposed to new technology trends. Everyone's extremely respectful, humble and supportive to others. It is incredible to see so many different cultures within a group. The marketing team is very collaborative and open towards one another. Every one of us knows exactly what our tasks are, we help each other achieve them, and are always very respectful of each other. I’m also lucky enough to have an incredibly supportive manager who really brings out each team member’s potential. What’s one thing you love about working at Movio? The colleagues I work with. 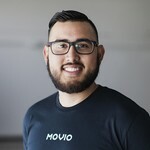 Everyone's different backgrounds, culture, and diversity is what makes Movio unique! Such a vast amount of differences makes coming to work everyday exciting. One day you can be tasting a different dish for lunch made by a colleague, the next you’ll be learning a word in a new language. Regardless, there's never a dull moment. We’re always on the hunt for passionate and talented people to help us in our mission to connect moviegoers to their ideal movie. If you’d like to join Movio in one of our offices in LA, Auckland or London, take a look at our current openings here.